I love Barbra Streisand’s old movies. I can remember watching them as a little girl. 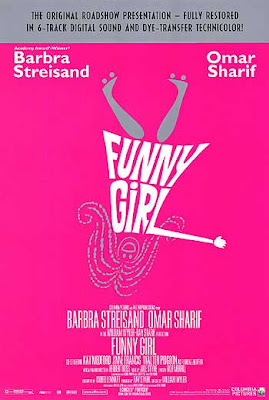 My sister recently bought Funny Girl. I could really use a sappy love story right now. I’m going to snap this one up to hang in the hallway outside of my daughter’s room. Purchase here. Amanda Peet’s daughter Frankie’s room. I also ADORE that rug!